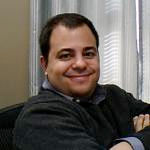 Victor Medina is the managing partner of a small law firm run entirely on Mac computers and Apple products. He will teach a course entitled “Macs In the Law Office” at Solo Practice University®. This course is intended to deliver a beginning Mac-user attorney to competence and a working understanding of some of the advanced methods of computing on Macs. The course will cover all of the basic “office” programs from email & calendaring, through document generation, presentation and marketing tools.